Today ONLY (2/11), score a pair of these New Balance Women's 680v5 Running Shoes $34.99 (Retail $74.99). 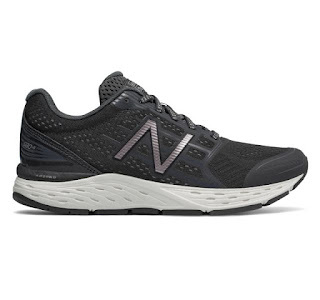 Consider it 'game on' when you hit the track in the women's 680v5 running shoe. Engineered upper materials offer comfort without the bulk, while ACTEVA midsole cushioning combines with ABZORB crash pad technology to provide much-needed support on the move. Set your pace with confidence, knowing a better running experience is right at your feet. A carefully engineered blend of performance and style, the fifth iteration of our popular women's running shoe features a perforated breathable mesh upper and advanced midsole technology to help make every step a breeze.